Image courtesy of Sherman Takata. Many employers are rethinking the purpose of the office, and those who aren’t are missing an opportunity to improve employee recruitment and retention efforts, increase morale and enhance productivity. 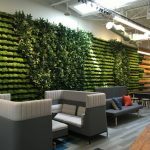 No longer just a place to park a body, workplaces can serve as an asset for a company’s long-term success – a strategic tool for connecting, resource and information sharing and more. Forward-thinking employers are moving toward more fluid environments that allow their employees the flexibility to “untether.” The concept – which moves away from traditional assigned seating – enables employees to choose where to do their work based on tasks and preferred working styles. The Steelcase Global Report on Engagement and the Workplace revealed that 88 percent of highly engaged employees feel they have control over their work experience. Gartner predicts that by 2020, organizations that promote a “choose your own work style culture” will boost employee retention rates by more than 10 percent. As companies bring back remote/offsite employees and incorporate policies that allow for flex-hours, part-time schedules, job-sharing and unassigned seats, the trend toward an agile, activity-based environment will become an important consideration. What strategies can be implemented to set untethered employees up for business success? Employees need to communicate in real time through voice calls, video conferencing, instant messaging platforms, screen-sharing and face-to-face meetings. They also need time-shifted communications, in which parties can respond when they are available. Platforms like Skype for Business and modern phone systems can handle several of these functions in one place. Ideally, you will have the fewest number of applications to cover all of these modes of communication. These tools should also allow you to locate people. Not for tracking purposes, but to understand how it may impact how you can interact with them and which ways you may choose to do so. Are they here? On vacation? In a remote office? Different time zone? Making a move to mobile computing has historically been expensive. Not to mention it has required significant internal IT support to access and maintain security. Employees must have access to the appropriate software to produce, share and present their work across all devices. The device type may vary depending on the task and work location. Modern implementations, such as a BYOD (Bring Your Own Device) policy, can reduce the load on IT and promote personal accountability and care for these devices. Often times these programs offer an employee allowance for mobile and laptop or tablet device purchases. The organization simply provides connection information to the systems and data. Agile work environments are governed by a different set of rules and behaviors. Making sure employees clearly understand these new workplace protocols is key to a successful untethered workplace. Are some unassigned stations reserved for remote employees? Are they first-come-first-serve, or can they be reserved in advance? Are they to be cleared off at the end of each day, or can someone camp out for an extended period of time? Are lockers assigned, and are they to be emptied periodically? Clearly establishing these rules up front will prevent confusion and frustration between employees. There may be parts of the space dedicated for focus work, where cell phones are to remain silent and interruptions from others prohibited. Communicating rules clearly to employees will ensure these spaces function properly. Studies have shown that visuals increase the willingness to read by 80 percent, and keeping it simple results in a higher probability of people understanding, and hence following, the rules. Skip the manual; instead, communicate policies by using signage or color-coded graphics. One idea is to use different colored work surfaces to identify workstations that are unassigned. Infographics displayed in user-friendly locations can improve comprehension. Companies with agile environments understand that work happens in all parts of the office. Providing snacks and beverages encourages people to interact. There may be other zones where people are encouraged to meet and collaborate, and where noise is appropriate. These spaces often are conducive to impromptu meetings and brainstorming sessions. By providing access to a computer monitor or interactive whiteboard, companies can enable creativity to flourish in unplanned ways. Avoid resistance to change by offering choices. One size does not fit all. Everyone has their own work style and level of visual and auditory distraction that allows for optimum productivity. Some thrive sitting in the middle of the action, while others prefer a quiet space in a corner. Some prefer to sit upright at a desk, while others like to recline with their feet up and a laptop on their lap. It is vital to remember that the purpose of an office is to bring people together in an environment that encourages the sharing of ideas and teamwork. It is not a just a place to park yourself. Giving your employees a choice will increase the chance of them showing up and engaging, thereby improving company success. Newly “untethered” employees may feel forced out. Not everyone is ready to give up their personal space. Some people will still want a place to hang their family photos and keep their stuff. Not all employees have the same expectations. Do they need ownership to maintain a connection to the organization? Do they need a locker or a pedestal file? Can you spare one of your drop-in stations? It’s not necessarily the seasoned staff. Even millennials, who are often viewed as far more transitory and nomadic, are seeking a sense of place. For many, a first job offers that sense of belonging, or arrival. Don’t forget that they’ve spent multiple years in college, moving from dorm to library to the local coffee shop. They may not be as excited about an unassigned environment as you think. Don’t assume – ask the question up front. If working in a more agile way is a new concept, there are some essential tips for ensuring it can be done successfully. First, employ a change management methodology to ensure people understand what to expect, why it is happening and how to successfully work in these new ways. Getting buy-in from a small but mighty group is key to spreading the word. Set up a pilot team to suss out issues and refine the program. Then let them champion your cause to the rest of the staff. Importantly, lead by example. Employees are much more likely to join the bandwagon if they see that upper management is participating. The key to supporting a more agile workforce is establishing an environment that not only enables people to perform, but makes performing an activity that is a positive and rewarding experience. People want to do good work, so make it easy for them. Eliminate barriers and frustrations that disrupt what they need to do, and add features that promote better and more meaningful communication. Build spaces that people want to be in, and provide the right tools and technology to help them succeed. Establish cultures that people want to be a part of, and even champion. I comprehended the inquiry splendidly and it’s a decent one, I unquestionably consider it to be worker/manager. The reason I think this is on the grounds that he should do what is to our greatest advantage not exactly what he needs to do, that is his activity. At any specific type of employment I’ve had I was paid to do work that was to the greatest advantage of the organization.